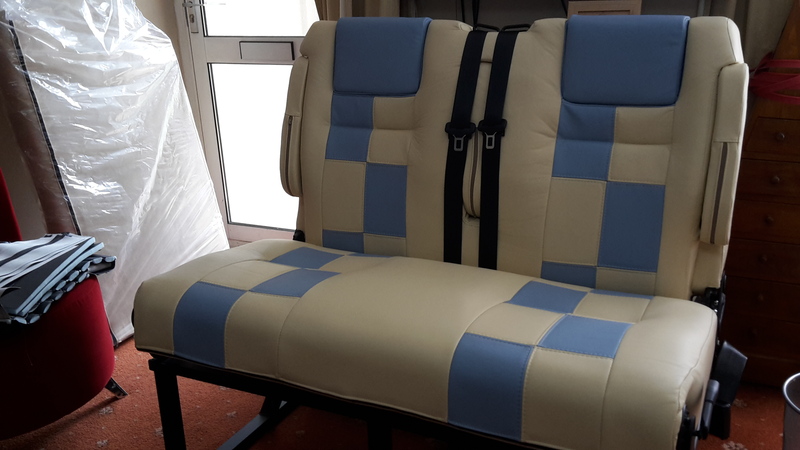 This Customer wanted something a little different for their T5 Rib rear seat bed. 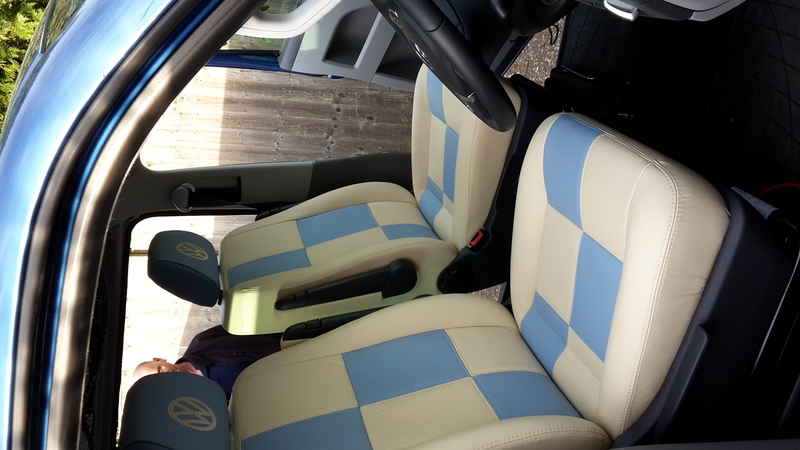 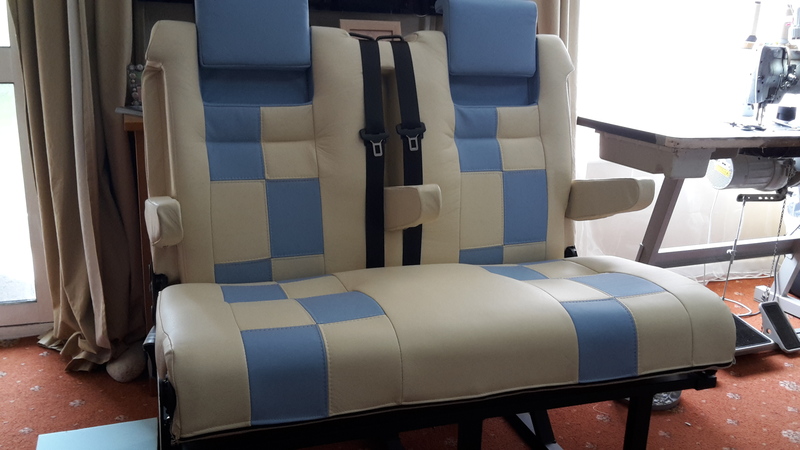 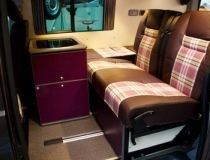 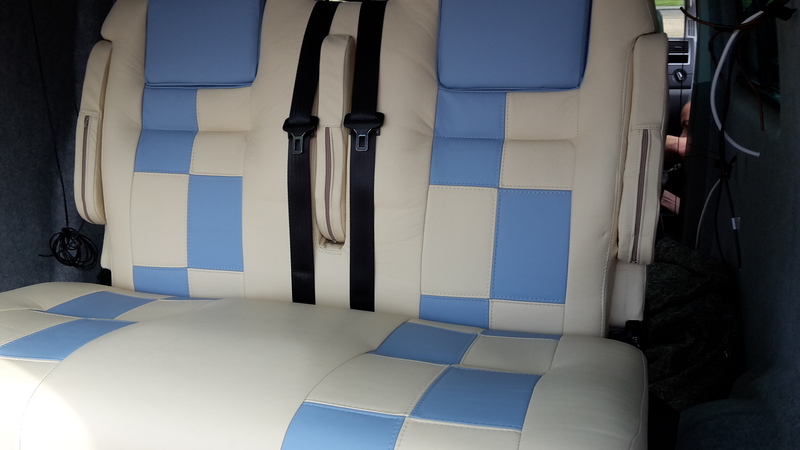 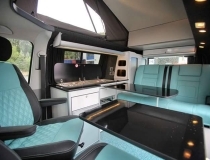 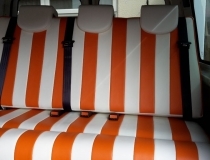 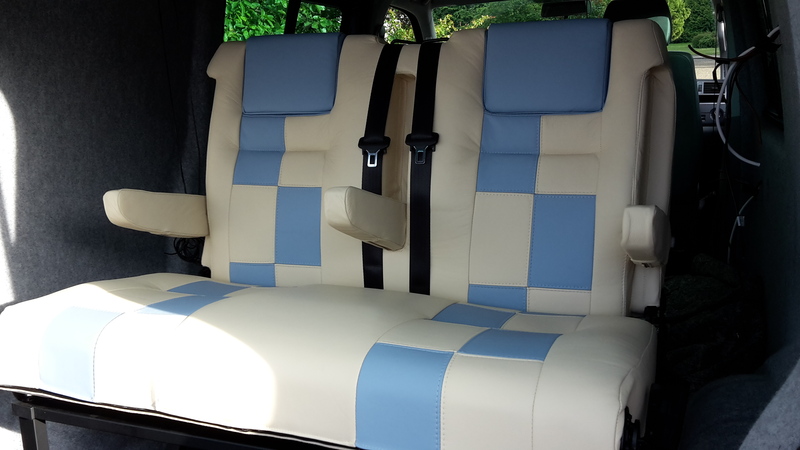 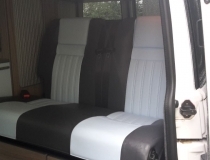 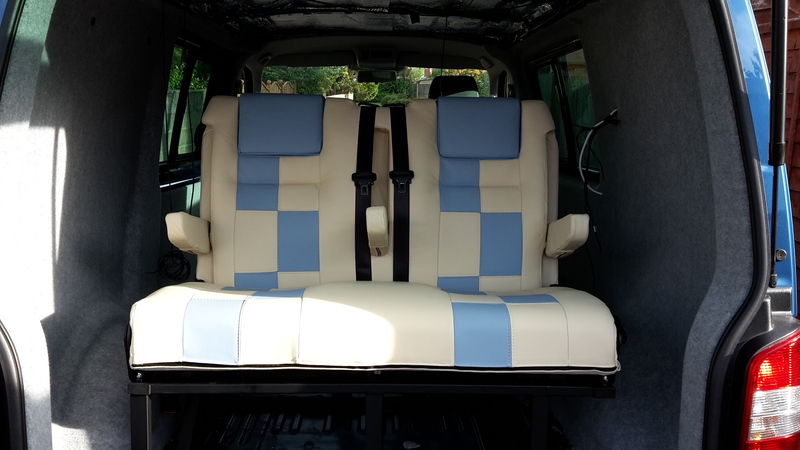 The front and rear seats are upholstered in white cream Automotive leather, with pale blue square patches down the centre of the front and rear seats. 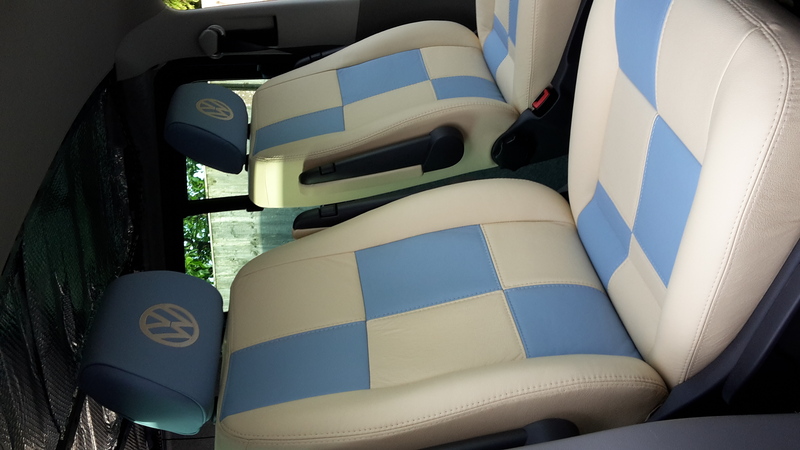 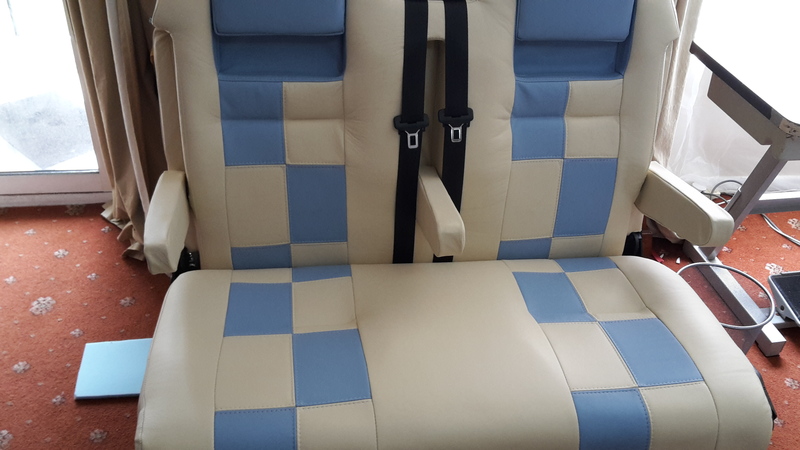 The headrests are also covered in the pale blue leather.